Some of these artists discuss how arts and culture create resistance. We explore with them how personal and artistic commentary can move us away from the rigid political, academic and institutional confines of “policy spaces”. 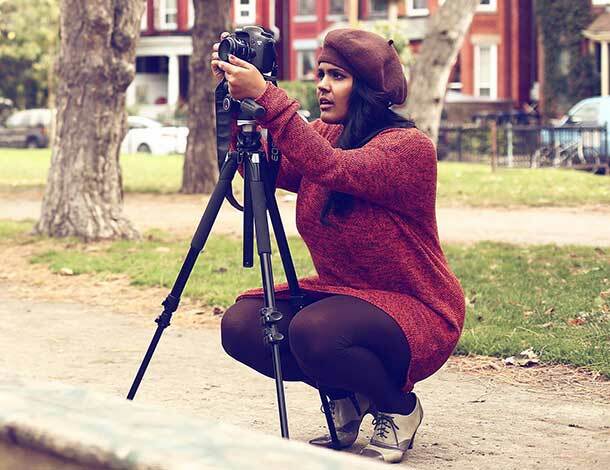 Nayani Thiyagarajah is a filmmaker and storyteller based in Toronto whose first feature documentary film “Shadeism: Digging Deeper” (2015)” explored how colourism affects her own community and those around the world. She is currently co-producing, writing, and directing multiple independent film projects through [RE]FRAME, her production company. As part of her engagement at CSW61, Nayani will be documenting her experiences as a first-time participant by doing a takeover of AWID’s Instagram account (@awidwomensrights) and through a short film on the theme “The Personal is Political”. The film will be screened at a UN Women event on 17 March. 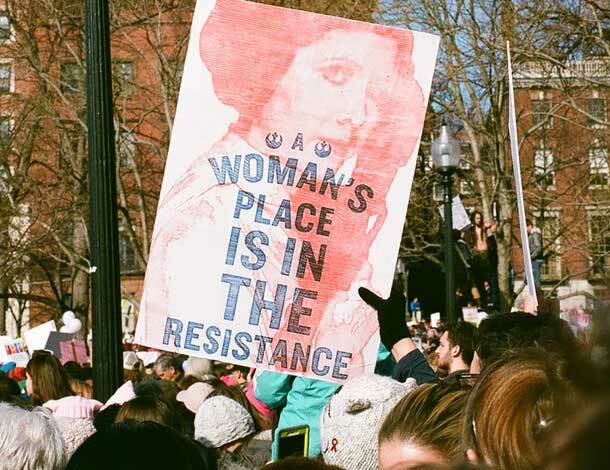 Nayani spoke with AWID about her expectations, fears, excitement, and the importance of showing up. AWID: Can you tell us about how your art, specifically how it creates resistance and what you’ll be bringing into a space like CSW? Nayani Thiyagarajah: Film is a political and social advocacy tool. Every film that I’ve worked on and/or am currently working on comes from a place that’s deeply personal. It’s either something that my family or I have been through, or that affects communities that I consider to be mine, which are multiple and plenty. I pull material from our everyday lives, speaking them into existence through art and film, giving them space to breathe on screen, but also to provide commentary on our lives and contexts from the point of view of our own experiences. I am adamant and stubborn when it comes to films that I work on, that the focus be on Black, Indigenous, and other women of colour. It’s part of my ethos, especially through the collective that I work with. Our endeavors and projects are very much political in nature, but birthed out of a personal place. They may not read as political commentary, but they are always a commentary on our own lives. Through [RE]FRAME, the production company that I co-founded with my producer, we build curricula and programming around our films. A key part of our work is thinking about how our films can exist beyond the screen, and how to extend them out of the theatre and into communities and classrooms. AWID: How do you feel about engaging with CSW from such a personal and artistic approach, given that the CSW has traditionally favoured institutional activism or academics, a place that one might qualify as a “policy space”? NT: I would be lying if I said that it wasn’t a little bit scary for me. Not necessarily in a bad way, but it’s just not a space that I normally engage. I don’t know what it will look like in the end, but I’m excited to share space with people who are doing work in a different realm, whom I have no idea about, and from whom I have so much to learn. I’m so used to being around other creatives--it’s the world that I occupy and live in. I’m interested in seeing how people will receive us and our work, and also to see how seriously our work will be taken in that context. I’ve had my own reservations in the past and my own assumptions, and I don’t want to hold on to them forever, so I really hope that people are open to the type of commentary that the artists attending will create there. And I’m excited that UN Women, AWID, and all the other partners have provided us this space and opportunity because it’s reflective of a bigger step in people welcoming artists and storytellers into the fold in this way. Especially, when it comes to multimedia and mixed media, the way we’re moving is through those mediums, especially given the online culture that we live in. I have mixed emotions--I’m nervous, I’m scared, I’m also very excited to take up space. I think it’s important for different folks to take up space in places in which they don’t traditionally participate. AWID: You brought up feelings of nervousness and fear about engaging that space. With initiatives like these, do you fear that artists are pulled in as an afterthought or do you feel like you are at the core of CSW programming? NT: I’ve taken part in initiatives when they’ve just been started or inaugurated, and that’s always a concern. I think artists, storytellers, and other folks, for example, young people and people of “other” identities (for lack of a better word) are always fearful of being invited just so that it can be said that they were there, as opposed to really being integrated. As of yet, I’m not sure what it’s going to look like when I get there. It’s cool and great to include people who are not normally included in a specific world, but the same time, we’re always cautious of what role we will play when we’re invited into that space. Part of my nervousness or fear comes from that: of being invited, but then not having the chance to participate fully. Many different people, in different ways, have found themselves in that situation before. But also, because it’s so personal for me, it is political. For me to be the daughter of two refugees, and also, a racialized South Asian woman, a storyteller, a filmmaker, to take up space in that arena with my producer, a Black woman--even if my fears do come true and we’re not really part of the programming--, for us to make that film and to have it seen will be a great response regardless. AWID: You mentioned being the daughter of refugees, and taking up space. How do you feel about going to New York and CSW in the current context of travel bans and other restrictions? NT: Part of me feels very conflicted about even crossing the border and attending the event. Many people can’t attend CSW because of what’s happening right now in the US. That’s something that I can’t and won’t forget. At the same time, without giving away the theme of the film I’m working on, I think it’s important for people who have the capacity and the privilege to attend (and it is a privilege!) to make a statement with their presence and their work. I’m not just going there to make a film, there is a lot of intention behind how I see my presence there in the current context. My parents were refugees almost 30 years ago. It’s been a long time, but that experience never leaves you. It wasn’t my experience, it was that of my elders, but I can see how it lives on even now. So looking at the current context, I think about what it means to hold multiple truths. And so, one part of me thinks it feels wrong to be there, to be attending when so many other people are not allowed to because of what’s happening politically. At the same time, it’s also important to be there and use your presence as a vehicle for commentary rather than being silent. It’s a question I always think about: How do I access whatever privilege I do have, and how do I use it to ensure that my presence is offering commentary? It also makes you think of yourself as a political body. Your body is not just your own. What does it mean for your body to be there, and for the work that comes out of your body to mean something politically? Even the fear associated with being a brown body, getting onto an airplane and going through US customs—things that go without saying—that have existed before and exist now. These are questions circling around in my head about attending. 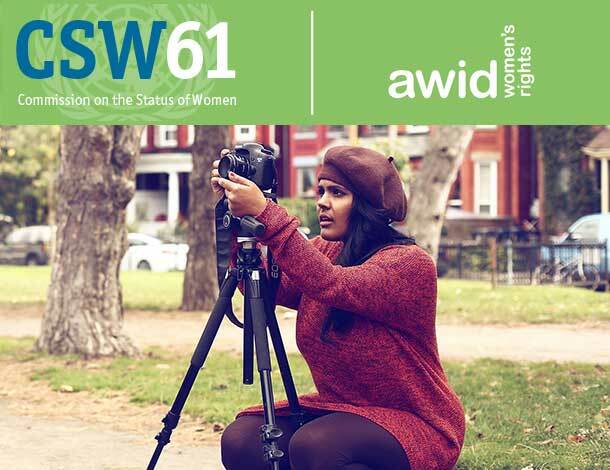 Follow Nayani’s artistic takeover of AWID’s Instagram from 12-17 March as she shares her personal experience at CSW 61 and teasers of the development of her film. Whether you are attending physically or not, we invite you to engage with us and our members around CSW61.